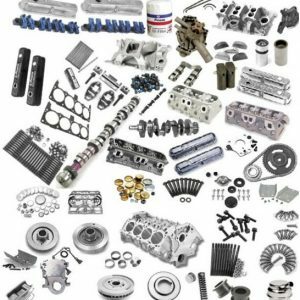 At Billcar, we provide both our trade and public customers with MOTs at Billcar Ltd, offering 4×4 parts and engine repairs. We bring quality products and excellent service for all kinds of vehicles, whether 4×4 passenger vehicles, commercial, or light vehicles. We are leading specialists in Nissan, Ford, Mitsubishi, Toyota and Isuzu. Mitsubishi is one of the biggest multinational automotive companies to come out of Japan, founded a whole century ago in 1917. It continues to be an industry leader decade after decade. The Mitsubishi L200 is considered the ultimate compact pick-up truck, now in its fifth generation since its first production in 1978. It is a light commercial vehicle and sold globally. If you have a Mitsubishi vehicle, our L200 range includes many spare engine parts and accessories. You may need to replace a part that is broken or simply needs updating to keep your vehicle road-safe. You know when you go with Billcar that your vehicle will continue to deliver the same smooth drive and fuel efficiency through its life on the road. Additional accessories can put the finishing touches on your vehicle and enhance your drive experience, helping you get the most out of it. If you require any additional Mitsubishi L200 parts and accessories, please get in touch with us via our contact form, or by emailing us at engineering@billcar.co.uk. Alternatively, you can call us directly on either 01743291740 or 07971063469. We offer a service to trade customers, whilst we are proud to provide services to vehicle owners directly. We recondition petrol, diesel engines to all 4×4, passenger vehicles, commercial and light vehicles. We are leading specialists in Nissan, Ford, Mitsubishi, Toyota and Isuzu engine repairs, reconditioning and engine modifications. All Nissan 4×4 engine parts in stock. We are proud to be a family owned and operated business with experience since 1981, you can be guaranteed that you”ll get an affordable and reliable service, we want your vehicle to stay in top condition and provide the most rewarding drive possible. © 2017 WW Scenics. All Rights Reserved.